Three years after picking up his late father’s drum sticks for Led Zeppelin’s London reunion concert, Jason Bonham, son of John, is taking the band’s music on the road as the Jason Bonham’s Led Zeppelin Experience. He refuses to name his bandmates -- “Some of them are known people, and I wouldn’t want anyone to make a pre-judged idea of who these people are until they hear them on the first night,” he tells Rolling Stone -- but does admit he would rather be playing stadiums with the actual Led Zeppelin. “That one [reunion] concert was the highlight of my life, and I know that sounds kind of sad,” says Bonham. When it became clear that no incarnation of Led Zeppelin would hit the road, Bonahm started to seriously consider longtime offers to create a tribute band. “This was a tough one for me, because I never imagined myself doing something like that,” he admits. “The people that put on the Beatles tribute show Rain approached me, and made me realize that I could do this while continuing to feed my own creativity and not feeling like a sell-out.” The tribute tour kicks off October 8th in Dawson Creek British Columbia. Bonahm says the show will feature his five piece band, archival video and his personal memories of Led Zeppelin. If anyone has the right to do this, I'd imagine it would be Bonham's son. There are tons of tribute bands around. I've got no problem with this at all. So if Jason Bonham wants to do this, I'd say give it a chance. Yeah I'm cool with this too. I really dont like tribute bands. The music is good because it belongs to someone else. Jason Bonham needs to worry about creating his own legacy if he wants to be a musician, not riding off his dads'. Tribute bands are good for bars in college towns. Touring on someone else's music is LAME. Since the original guys refuse to tour and play the classic music why not do this? Bonham does have his own thing going on with Black Country Communion, but Zeppelin is special to him and he loves playing the songs. My guess is that these shows are going to be pretty darned good. How the hell did that one London show never get released on either DVD or CD. Is someone allergic to money? 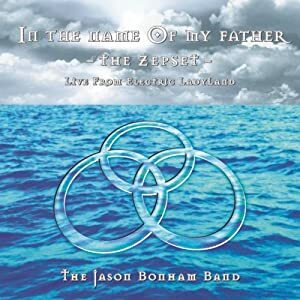 Jason Bonham released an album of Zeppelin songs a few years back. This is nothing new for him. As long as the rest of the guys are cool with it, no biggie. One of my favorite Zep tribute bands is Lez Zeppelin. Their album is pretty good. Those gals can rock! I'd go see the show if it came reasonably close. That's just the way they are. Go figure. They have tapes of every show they ever did. There's some money, minus the costs of making them presentable for release. It doesn't really sound like they are all against it, but rather that they didn't want to be a part of it. I fully understand and accept their desire to not want to continue Led Zeppelin without Bonham, but a tribute band can't really hurt the legacy of a legendary band. Great White? I'll take your word for it. They have tapes of every show they ever did. Considering they have used bootlegs to fill out their official releases, I doubt they have tapes of every show they did. Well, I think we all know the real reason the tour didn't get off the ground is that a certain member could not consistently hit his high notes anymore. Not pointing any fingers though. Last edited by Jack Straw; 08-19-10 at 02:17 PM. Man, if there were ever a band that shouldn't use an image of a large structure bursting into flames on one of their albums' cover, it's Great White. 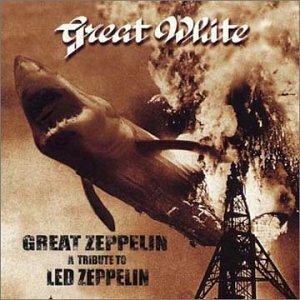 And by the by, I quite like the Great White album of live covers, too. I've played that album for people and actually had them think it was Zeppelin. They get written off far to easy - it's a shame they'll likely now only be known for the fire tragedy. 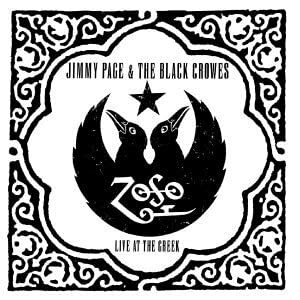 ...but at least the Black Crowes had Jimmy Page playing with them, and for a 2 disc set, it also isn't all Zeppelin tunes, either. Last edited by Rocketdog2000; 08-19-10 at 10:17 PM. Meh, I thought he had done this already. In the 90's when he had his one hit with Bonham, a girlfriend of mine wanted to go see them. They played about a half hour of their own material and then about 90 minutes of Zeppelin. Coincidentally (or not so much) the lead singer was very reminiscent of Robert Plant. I didn't want to go but it ended up being really cool. I listened to all 3. Pretty solid, IMO. Not a tribute album but I love Tesla's take on Thank You.